Strike Energy Limited has announced on Wednesday that it has secured a gas supply deal with Orora Limited, the recently demerged Australasian and Packaging Distribution division of Amcor Limited. 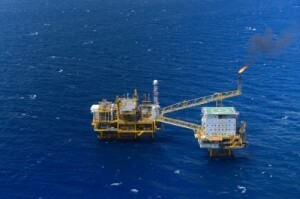 According to a statement, the Gas Supply Option Agreement is for 30 petajoules (PJ) of gas which will be produced by Strike from its Southern Cooper Basin Gas Project centered on the substantial gas resource identified within permit Petroleum Exploration License (PEL) 96 in South Australia. Under the Option Agreement the supply will be delivered at three petajoules per annum at a fixed price over a 10-year term beginning 2017, when production from the Project is expected to start. Orora can then exercise the option when a decision is made by the PEL 96 joint venture to proceed with development of the project. Strike’s Managing Director David Wrench says the Option Supply Gas Agreement is another important milestone in the rapid commercialisation of their gas resource in the Southern Cooper Basin following the successful appraisal drilling program completed in December. “This agreement and our foundation gas sales agreement with Orica demonstrate that Strike is well positioned to play an important part in the gas supply solution required to meet increasing uncontracted demand for gas in Eastern Australia,” said Mr Wrench. According to an AAP article Strike said the option agreement with Orora complements the foundation contract it has with explosives supplier Orica announced in July last year. The contract is for the supply of 150 petajoules of gas from the Southern Cooper Basin over 20 years.